Periodontal disease can impact your oral health, but it can also impact your overall health in a much more significant way. There has been recent research that suggests that periodontal disease can predict the severity and presence of rheumatoid arthritis in a patient. The conclusion of multiple studies so far seem to suggest that the more risk there is for tooth loss, the higher risk there seems to be for rheumatoid arthritis. One of these studies, for example, observed that patients who had moderate to severe periodontal disease were over twice the risk for rheumatoid arthritis in comparison to the patients who had mild to no periodontal disease. While the cause and effect of the situation hasn’t been proven yet, there are strong indicators that would suggest there is a mouth-to-joint connection here. 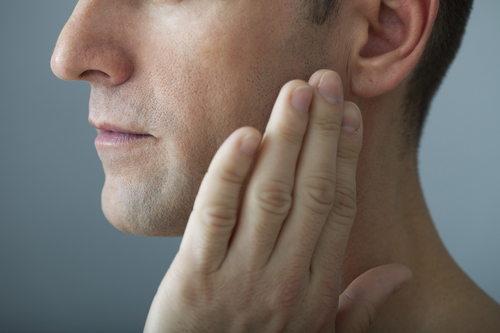 Researchers that lave looked into the connection between rheumatoid arthritis and periodontal disease has found that there are similarities between the inflammatory processes of oral tissue and joints. There also may be a genetic link between the two conditions as a genetic type has been identified to be more common in patients who possess both conditions when compared to patients who do not suffer either condition. Take care of your teeth: First and foremost, basic oral health care must be exercised by the patient. This includes proper teeth brushing, mouth rinsing, and flossing at home while also receiving regular dental cleanings and checkups. Seek treatment for periodontal disease: Any outstanding oral health issues like periodontal disease need to be treated in order to nip the issue as soon as possible. Nonsurgical treatment is always preferred; this option would involve removing built up plaque and tartar. In more severe cases, advanced treatments like gum grafts, pocket reduction surgery, and regenerative procedures are ideal. Work with a doctor: A periodontist can help you treat periodontal disease, but if you are suffering from rheumatoid arthritis, we suggest working close with your doctor to receive proper treatment. This plays an important role in maintain your oral and overall health. If you’re looking for a Phoenix periodontist to help you with treatment options, look no further than the Arizona Periodontal Group. You can reach out to us with any questions you may have concerning periodontal disease and its link to rheumatoid arthritis along with possible treatment options. Request an appointment at your earliest convenience to begin the treatment process.